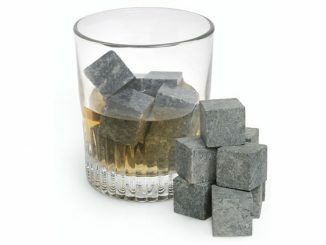 We all know that Whiskey Stones are a great way to chill your drinks (like whiskey) and help preserve the great taste. 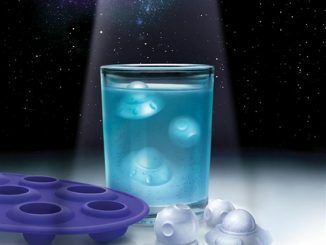 You could opt to use ice, but that eventually melts down to leave you with a watery drink. 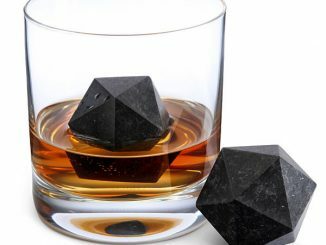 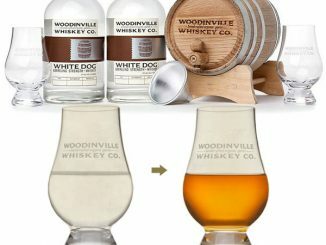 Drinking from the Whiskey Stone Shot Glasses works fine too; and yet another way to chill it up is with the Sticks & Stones Swizzle Set. 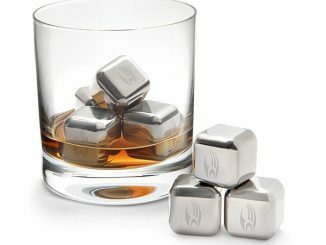 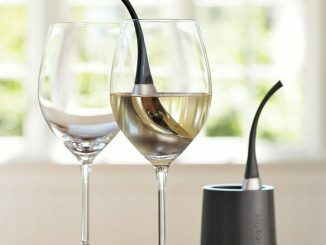 The Sticks & Stones Swizzle Set doesn’t just make it easy for you to chill your drinks. 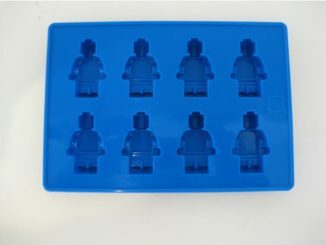 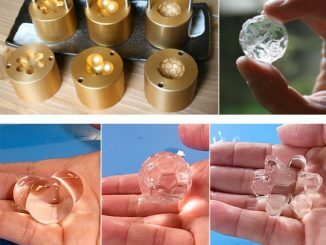 It comes with a stick that holds the stones in place so you can place them in your freezer easily or store them in your cupboard when they’re not in use. 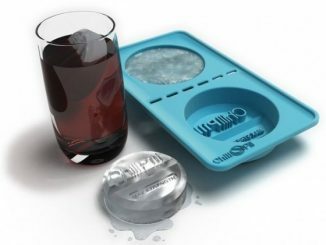 Why use ice when you can actually serve your drinks on the rocks! 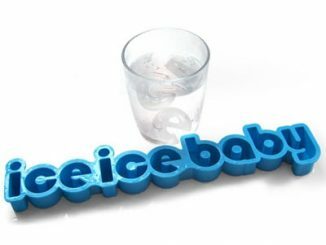 Designed to keep drinks perfectly mixed without the diluting effects of ice, these natural Sea Stone Swizzle Sticks are the perfect addition to any bar! 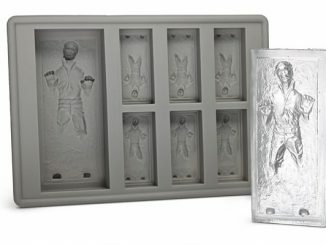 Includes a real wood base that offers a presentable storage solution while the sticks are in the freezer. 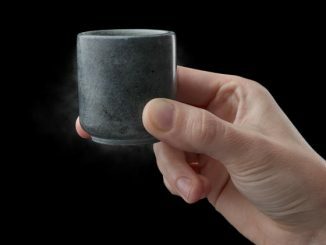 Made for use with thick, tall tumblers of sturdy, borosilicate glass in the USA. 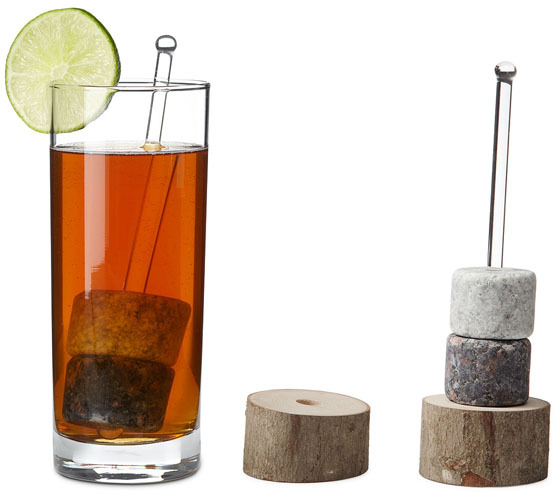 The Sticks & Stones Swizzle Set is available from Uncommon Goods for $32.